The Xbox Live Indie game (XBLIG) was released on 30th December, 2011. Like the original game, this sequel again features the same unusual and innovative play mechanic, set in an unnerving atmosphere. 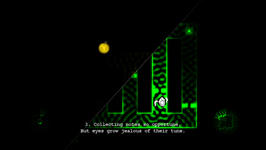 Players must guide themselves through sinister mazes, unable to physically see the surroundings, forced to rely on sensory understanding of sound waves and the way they propagate the environment. The addition of a second character to guide and dynamic split-screen - pulling the screen apart as players separate and coalescing as they find each other again - adds a new dimension of puzzle solving to the existing game mechanics. Here split-screen is not just a visualisation aid but part of the puzzle itself, as important parts of the level only become visible with well-judged placement of the 2 characters. Some important parts of the level will never be fully revealed at all - trapped within the void between panes - and requiring player estimation of the waves travelling through. New beast types, wall types, and an increased focused on the use of the scream mechanic round out the new package. 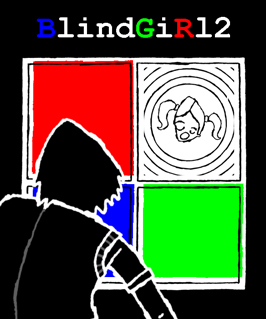 With a dearth of simultaneous co-op puzzle solving games available on the Xbox360 for 2 players, BlindGiRl2 has arrived to fill that dark void. * Co-op play for 2 simultaneous controllers, whilst retaining solo play. * Dynamic split screen, based on player separation. 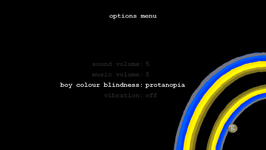 * Colour-blind simulation linked to player separation distance. * 22 new levels/90+ puzzle rooms. * The addition of blue screams, to wake, lure and break new obstacles. 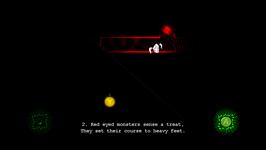 A free demo of BlindGiRl2 is available to play on your Xbox360. * search under the letter B. Having trouble finding the Indie Games section? 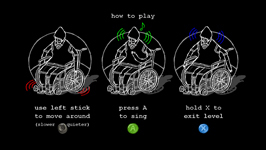 Let BlindGiRl show you the way, via this walkthru video "How to find XBox Live Indie Games". Classic Game Room “In space, no one can hear you echolocate”.